WASHINGTON – Two captivating photographs and three compelling videos won prizes in the 13th annual Faces of Transportation competition sponsored by the American Association of State Highway and Transportation Officials. 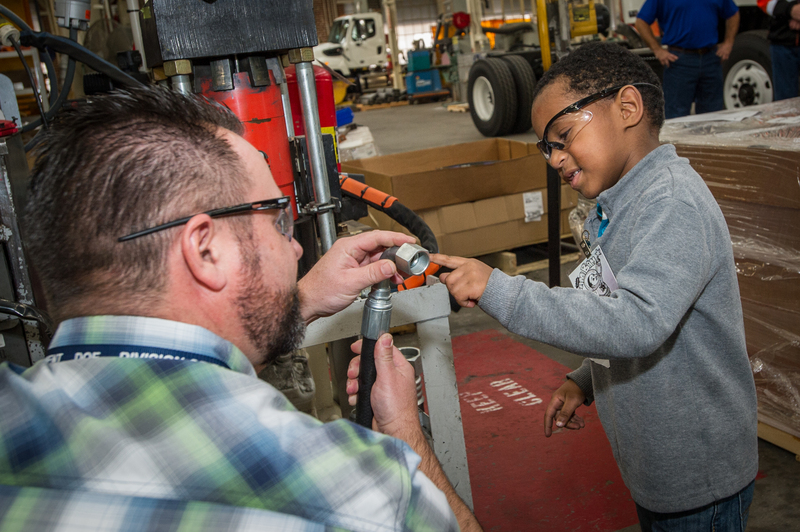 Make-A-Wish kid Samuel and Caltrans Equipment Shop staff explore transportation possibilities the week before Samuel hit the road to have his wish of seeing a real spaceship become a reality at the Kennedy Space Center. Photograph by Caltrans Senior Photographer Scott Lorenzo. A photograph of a California Department of Transportation (Caltrans) worker giving a Make-A-Wish child a tour of a maintenance facility won the Grand Prize, while a photograph that captures the last working ferry system in Arkansas was selected the People’s Choice Award winner by online voters. Sixteen transportation department employees from 24 states and five private citizens submitted 88 photographs and 16 videos for judging in this competition. An AASHTO team of judges selected the Grand Prize winner and a majority of the more than 6,000 online votes selected the winner of the People’s Choice award. 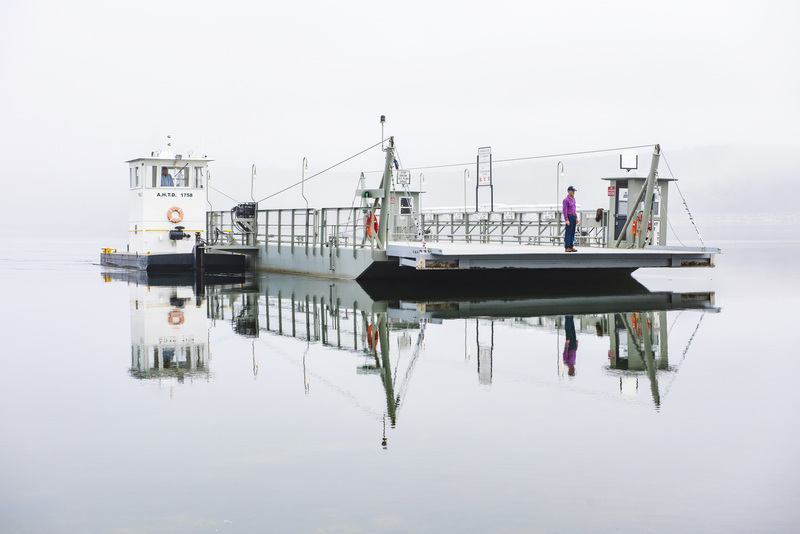 The Peel Ferry glides through the early morning fog on Bull Shoals Lake. As the last operational ferry in Arkansas, it provides a connection in the north-central portion of the state to Missouri. ARDOT employees Rob Mersman (tug pilot) and Randall Williams (on barge deck) operate the ferry. Photo by Arkansas DOT photographer Rusty Hubbard. The Grand Prize award went to Caltrans Senior Photographer Scott Lorenzo. The People’s Choice Award was presented to Arkansas Department of Transportation Photographer Rusty Hubbard. The videos competed for first, second, and third prizes and the Ohio Department of Transportation won first prize for its fascinating “Slow Down, Move Over” public education campaign video. Taking second place was Caltrans for its News Flash video detailing the department’s emergency response to a major mudslide in Santa Barbara County. Third place went to the Arizona Department of Transportation for its South Mountain Freeway Chuckwalla Relocation video, demonstrating the department’s commitment to wildlife mitigation. Use the above links to see the videos and view the all the photo entries here. ← Faces of Transportation People’s Choice Voting Now Active!